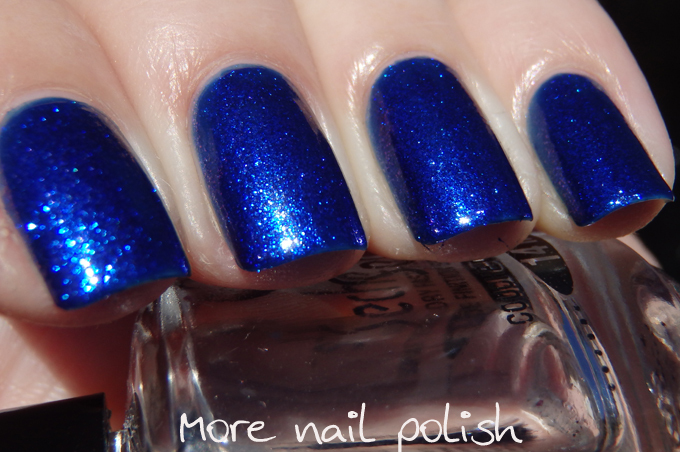 It's time to reveal the answers to my Guess that Polish 5 year blog anniversary giveaway. Lets get straight to the reveal. So my conclusion is that I made this one way too easy! A whopping 73% of you guessed every single one correct with 20/20 right. And every single entrant score more than required 5/20 to go into the random draw to win a prize. In fact, no one scored less than 12/20 so well done everyone. Sadly I can't split the prize between all of you that guessed 20/20. 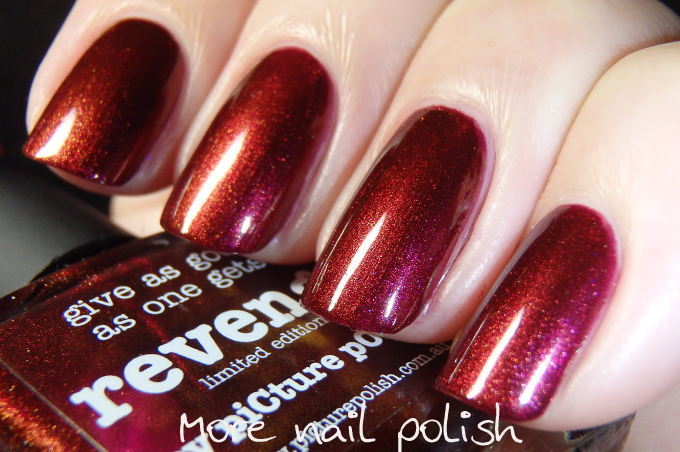 Postage would kill me, and you'd all end up with only about one polish each anyway! To select the winners I have done two random draws. One with the entrants that guessed 20/20 and then one with all entrants. Congratulations Ana Frankovic Jovovic - winner of the all entrants draw. I have only just sent the winners and email. So please email me back within two days or I will draw new winners. 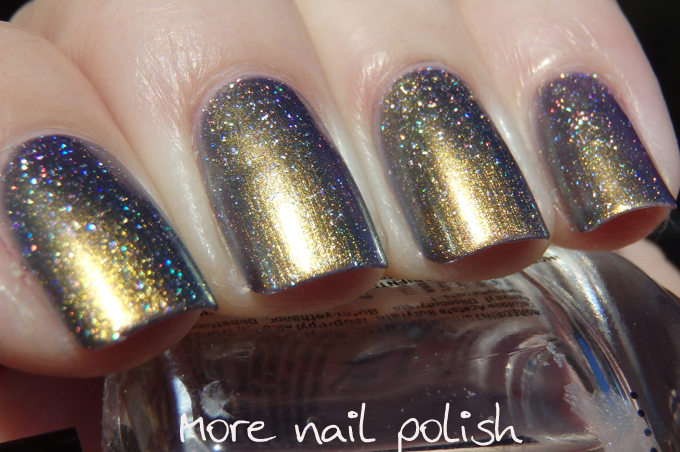 Back when I wore ILNP Mega (S), I decided to fancy it up a bit. 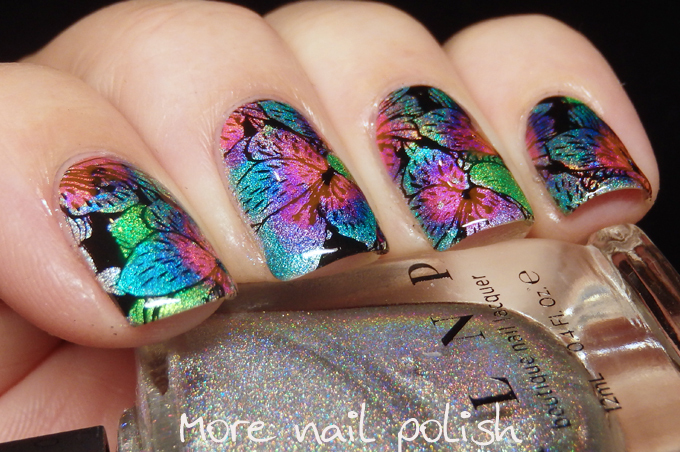 I ended up deciding on stamping and lead lighting. 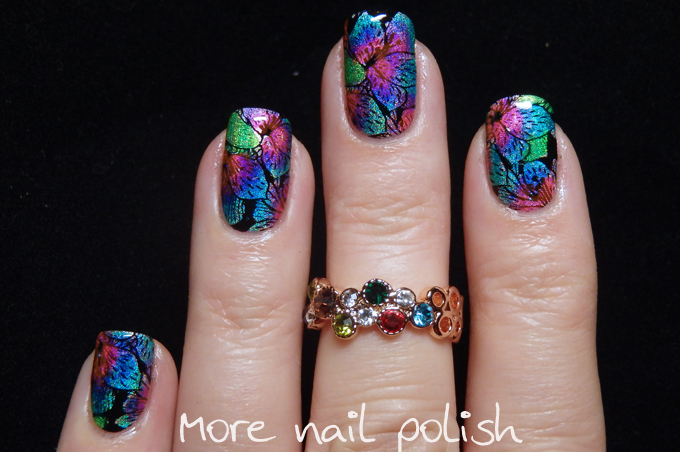 I *think* the stamping plate is is either a Messy Mansion LeadLighting plate or maybe a Lily Anna. Sorry, I did these two weeks ago and I can't remember. 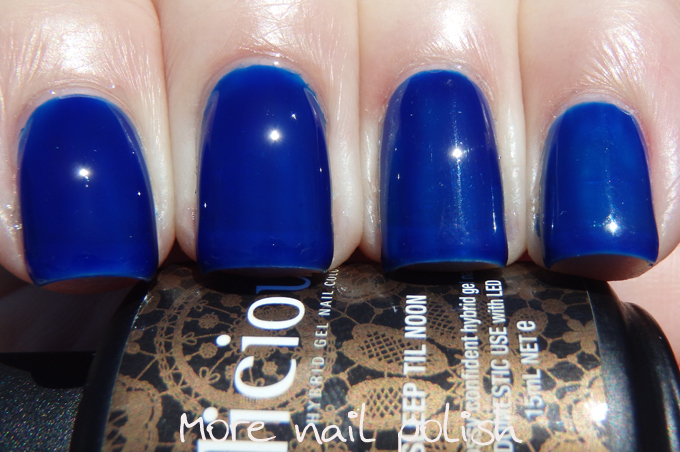 Anyway, I just stamped using black Mundo de Unas polish and then used a dotting tool to colour in the design using Dance Legend Aquarelle top coats. 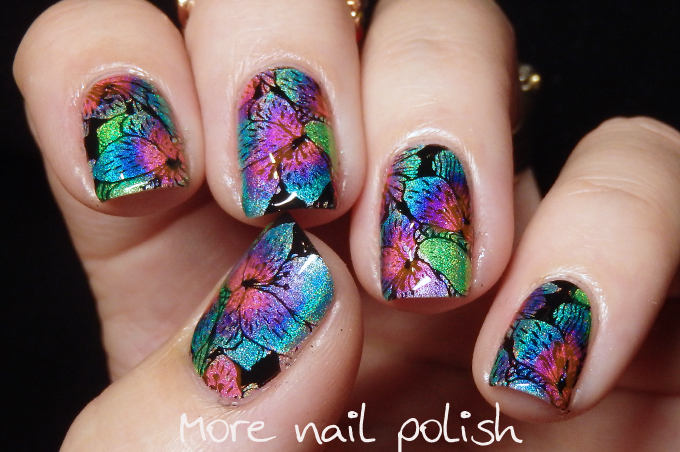 This is such an easy technique and the results are so beautiful. 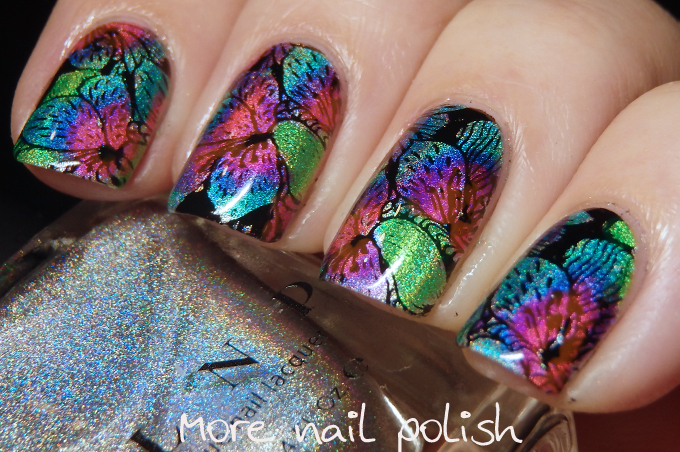 I especially love the holo base shining through on this. 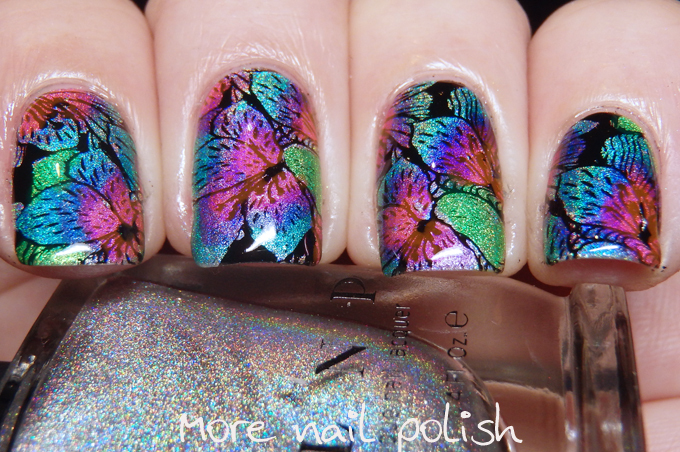 I think my thumb nail was my favourite of them all, so it's gets it own macro. 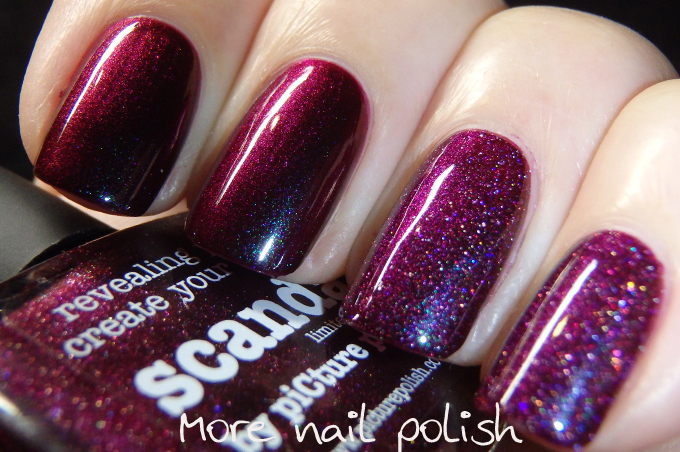 I love how the pink blends into the purple ad into the blue. I did good with this one. 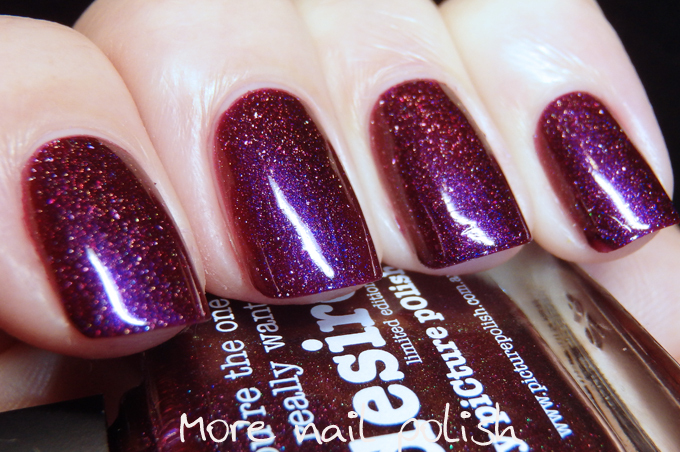 The Dance Legend Aquarelle top coats are available from Dance Legend - the English website will be open in May (oh, and I did get my order from Dance Legend that I mentioned here on my blog, it arrived in only a few weeks, so it looks like shipping issues have been sorted out). 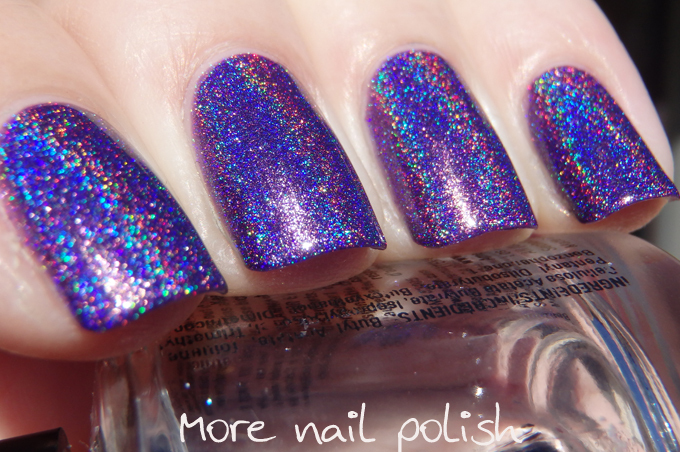 Llarowe also stocks Dance Legend polishes and ships internationally. DL Aquarelle top coats provided for consideration. Big fat damn it, damn it, damn it. I just spend the best part of an hour writing up and great blog post, and then, whilst I was moving photos around in the HTML and cutting and pasting text, I lost all my content. Then it bloody autosaved and my content was lost. Even Ctrl-X didn't work. DAMN YOU BLOGGER! I'm so pissed I lost all those words and I just can't be bothered writing them all up again, and god knows I wont be able to be as clever and witty the second time around. Here is a dot point executive summary of what I wrote. I've been busy and am a slack blogger. 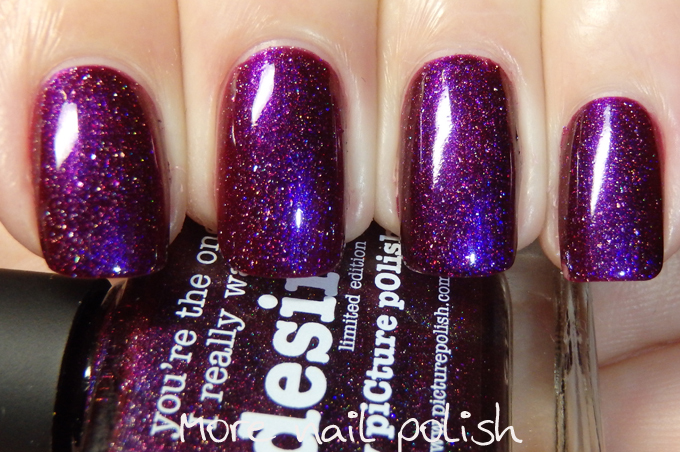 I haven't even selected a winner of the guess that polish giveaway. There were lots that guessed everything right. I made it too easy. I had a week off work. I felt bad that I didn't do a birthday nails post. Came down with a 24 hour bug and was out of action for a day. Had about 25 six and seven year olds and their parents over for the party. Had to clean the house. Had to seriously clean the house. 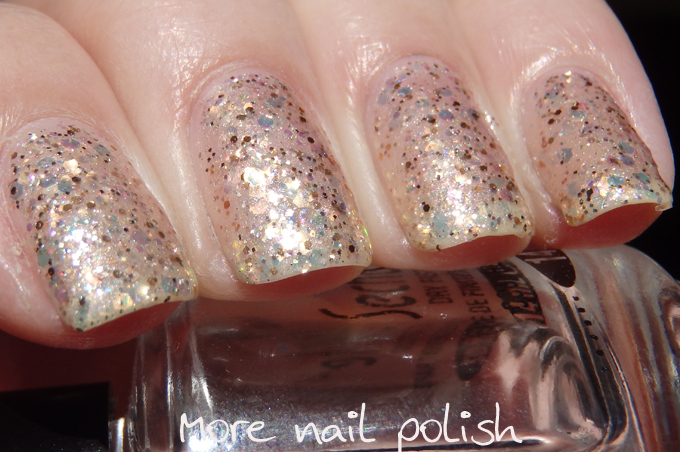 Had to clean up my polish mess that was all over the dining table. Will write blog post about party because it was awesome and we made some fun crafty stuff. 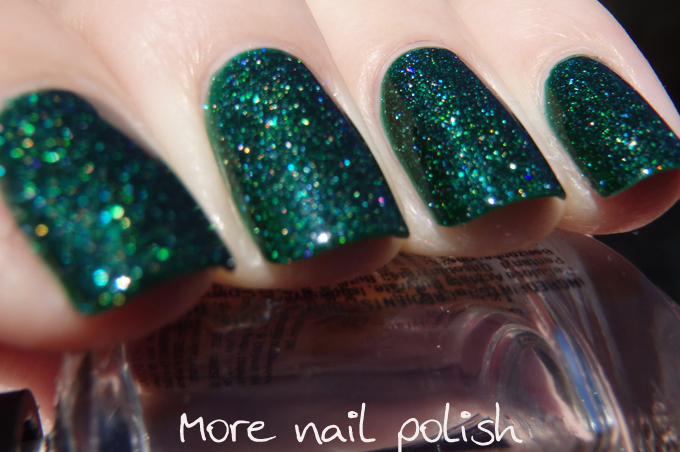 These are the recently released Picture Polish Vampy Chameleons. 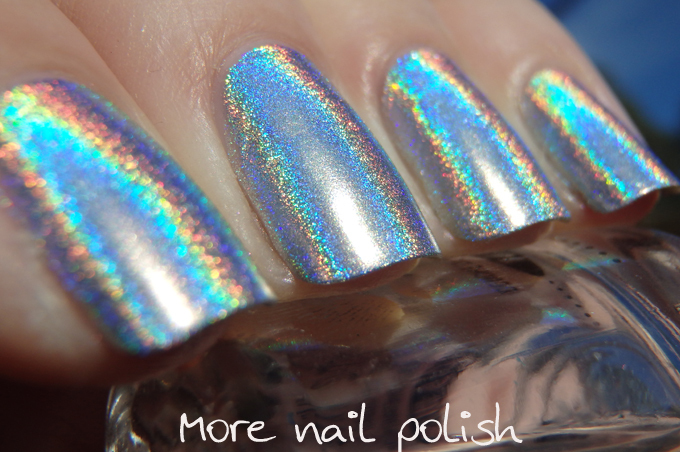 The collection has six duochrome shades in it. 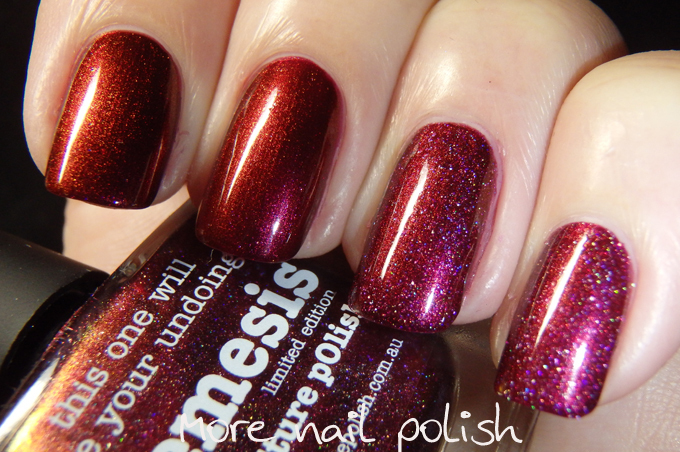 There are three colour combinations with a shimmer and a shimmer/holographic flake combo in each of the three combos. 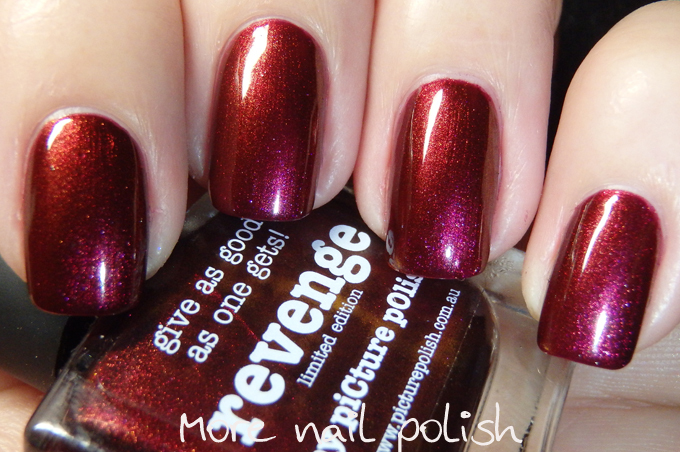 Revenge - a dark burgundy shimmer that shifts from pink to rusty red. 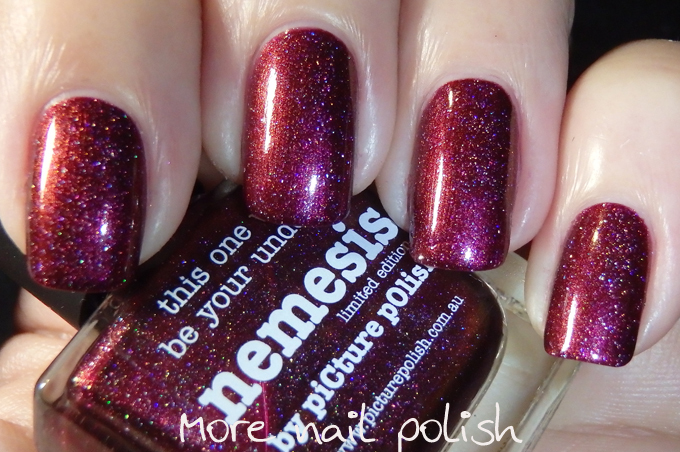 Nemesis - same a revenge, but with the added scatter holographic flakies. 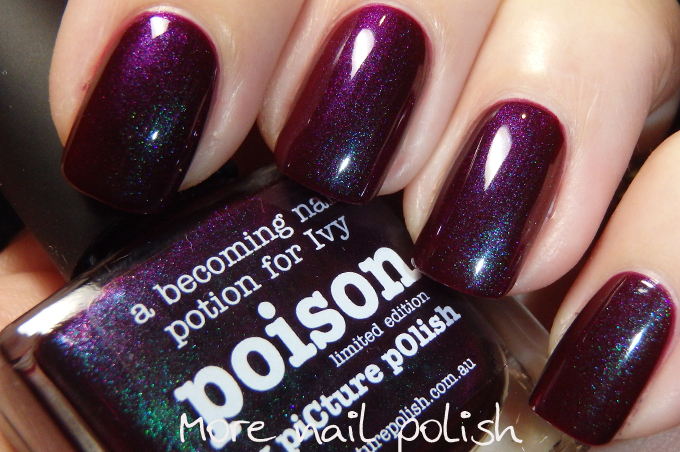 Poison - a dark plum leaning red with a shimmer that shifts from aqua blue to purple. 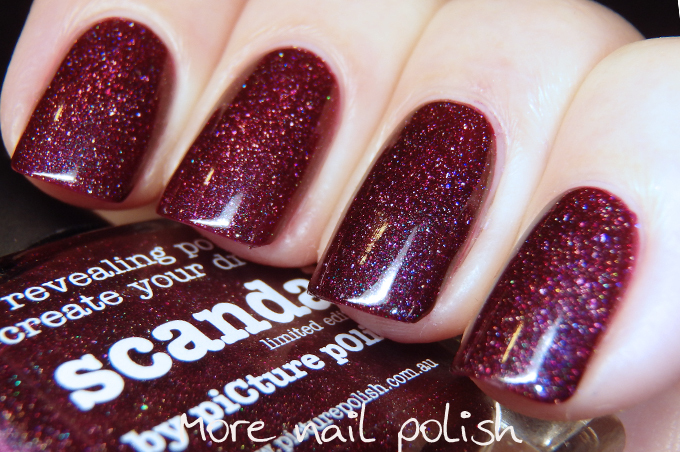 Scandal - the same as poison, but with the scattered holographic flakies. 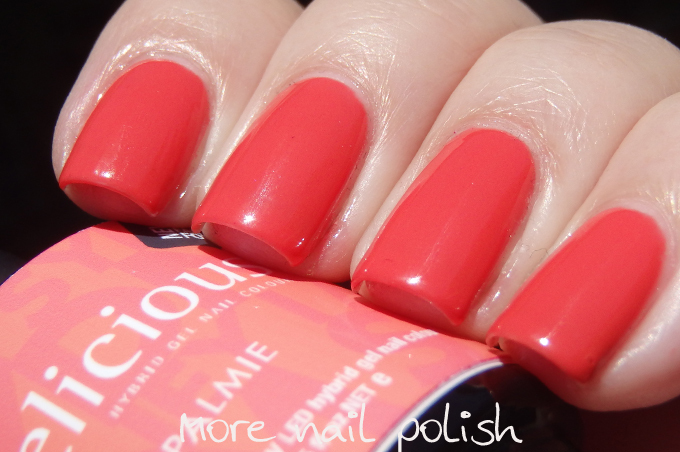 Notice how my indoor lighting really highlights the red base of this polish when there is direct lighting. 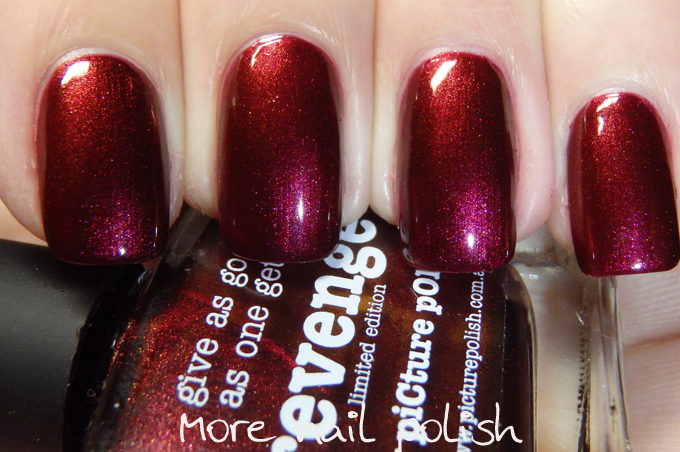 Angled lighting in the comparison photos shows the colour is the same. 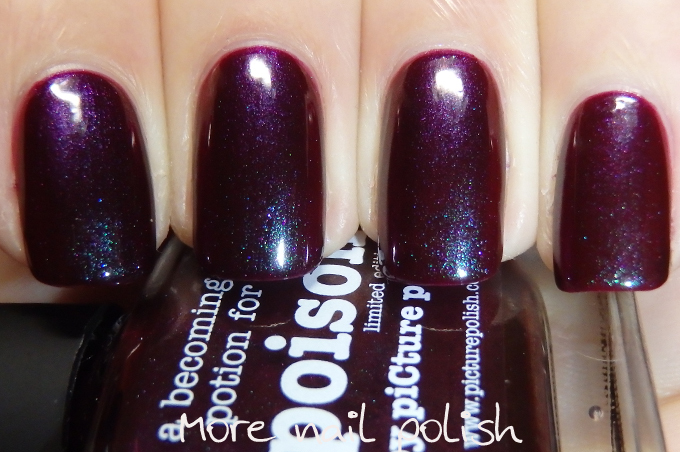 Comparison of Poison and Scandal. 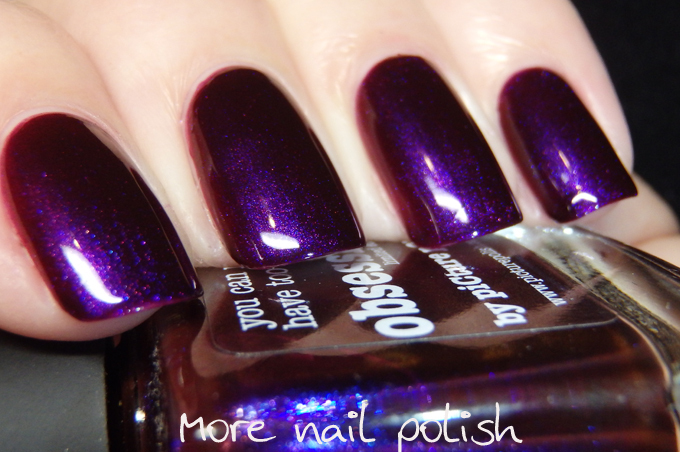 Obsession - a dark blackened red leaning purple with a shimmer that goes from purple to red. 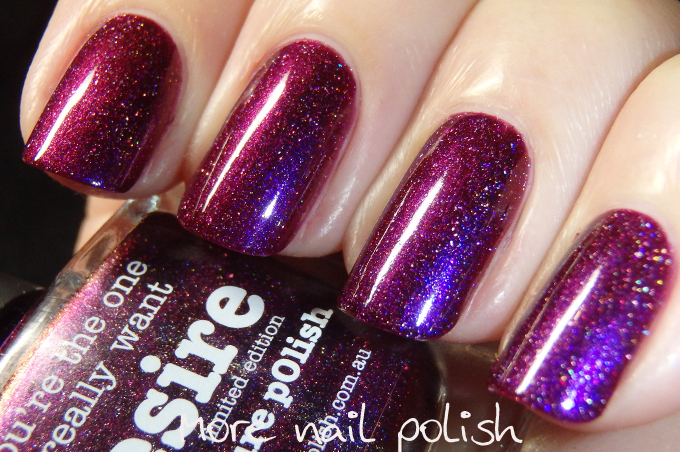 Desire - the same as obsession but with the scattered holo flakes. Comparison of Obsession and Desire. As you would expect, the versions with the holographic flakies are a fair bit lighter than their shimmery counterpart, and because of this they all look quite different. 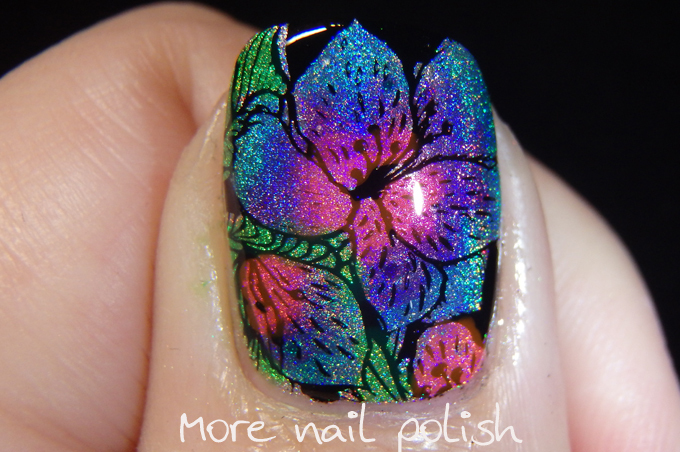 Application was good for all of these, but if you are going to be photographing them in direct light, you will want to do three coats for full opacity. 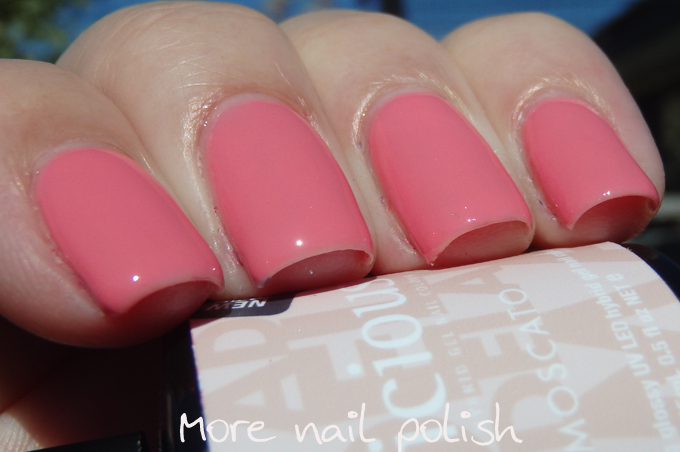 Two coats would probably be ok for regular wear. 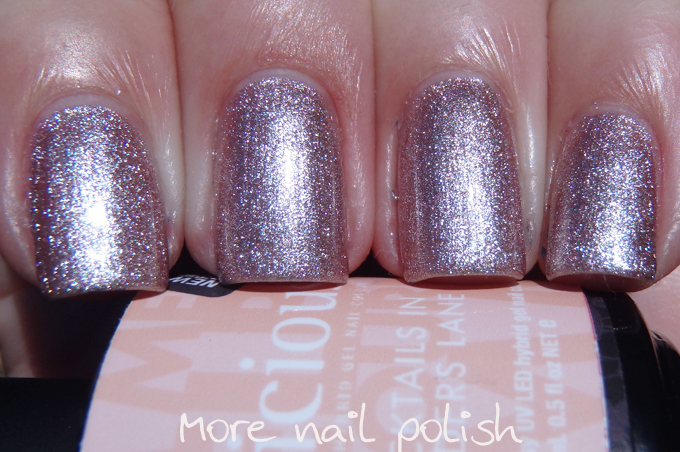 These swatches were three coats with Seche Vite top coat. 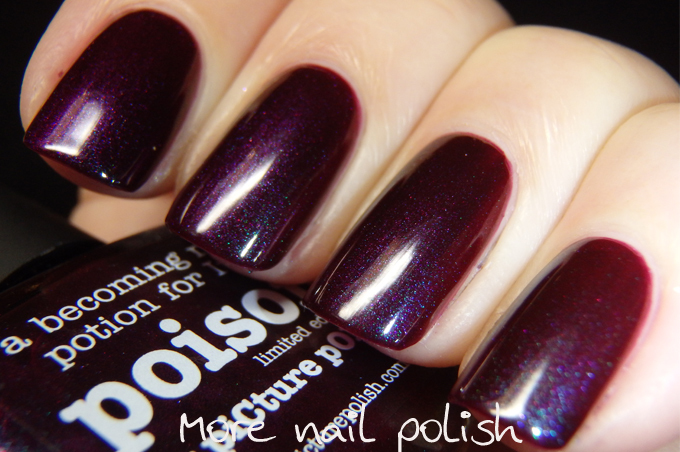 The Picture Polish Vampy Chameleons are available from Picture Polish. 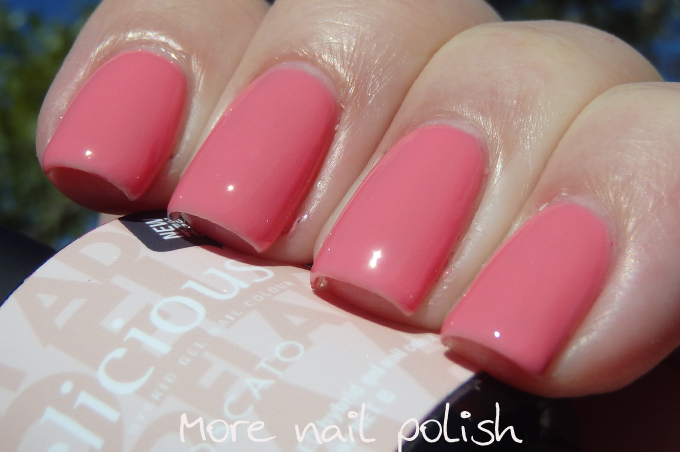 International ladies may be able purchase through one of the many Network stockists if they have this in stock. 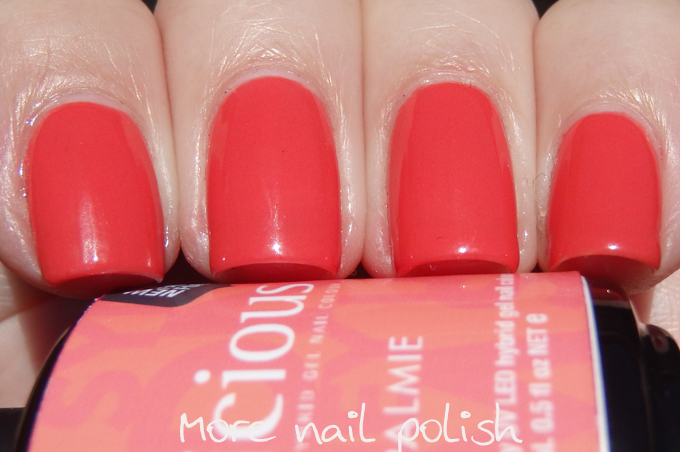 Last summer I swatched a collection of new soak of gel colours for Aussie brand Gelicious. 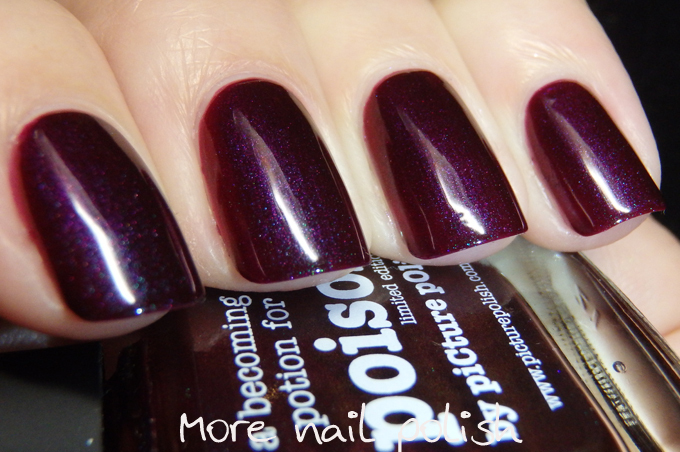 I'm quite a fan of the polishes, but I'm seriously disappointed in the way my swatch photos have been photoshopped on their website. I'm not going to go into it again, as I have covered it before, but what I will do is provide you with my real, un-photoshopped swatches of each of the colours in the Cities collection. The first four shades have only recently been released, whereas the bottom four shades were released some time late last year or early this year. 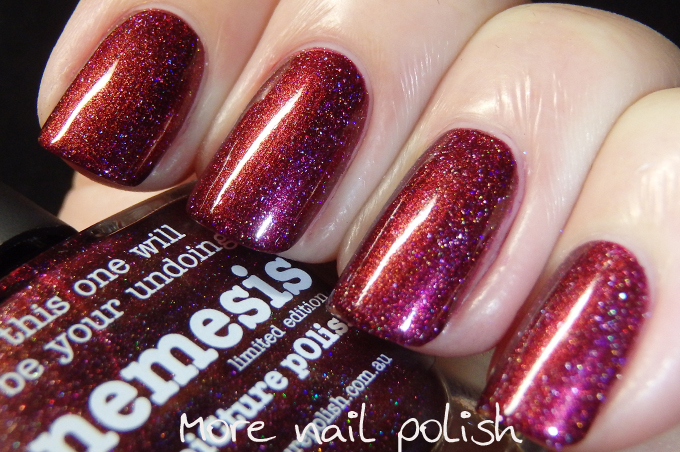 I am Brisbane - Brisvegas - a rich hot pink. 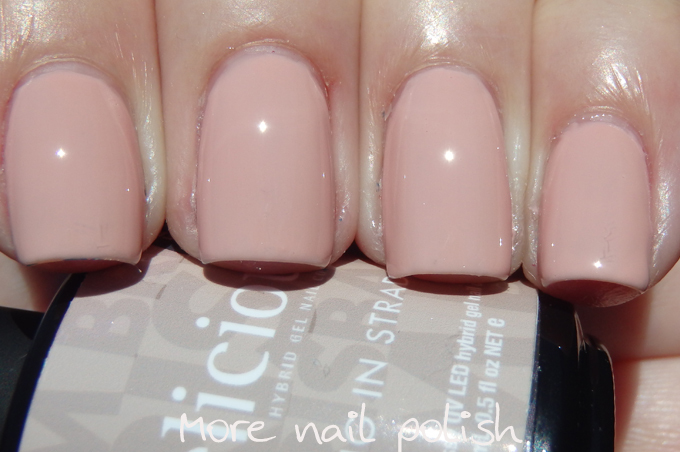 I am Brisbane - Surfing at Straddie - a soft pale pink with good opacity. 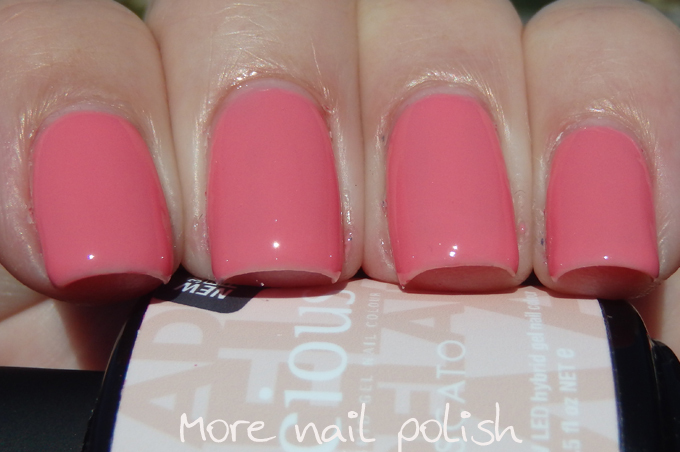 I am Adelaide - Moscato - a mid toned, feminine dusty pink. 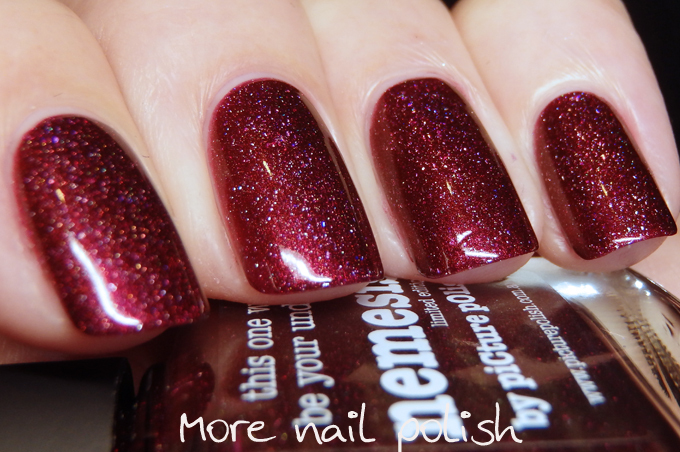 I am Melboure - Cocktails in Flinders Lane - A sparkly metallic rose gold. 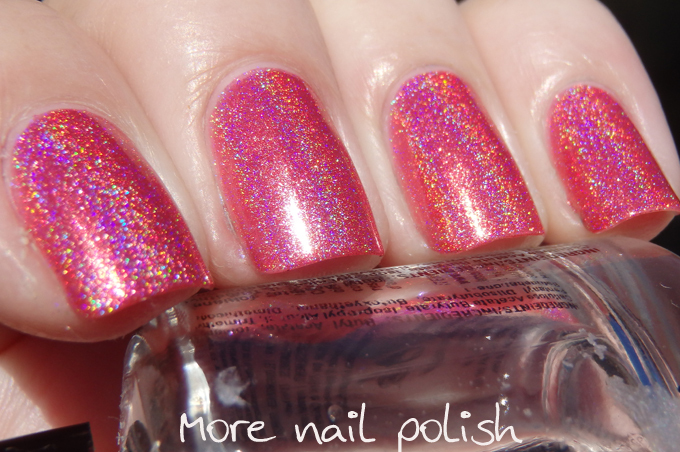 Think Orly rage. 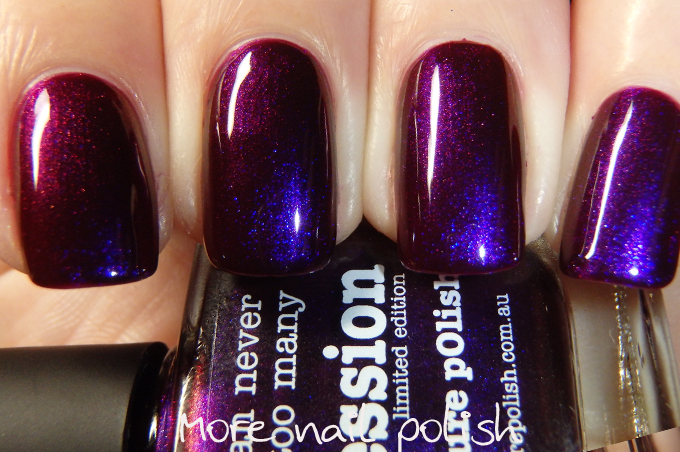 I am Melbourne- Smith Street Hipster - a vampy dark red with a jellyish finish. 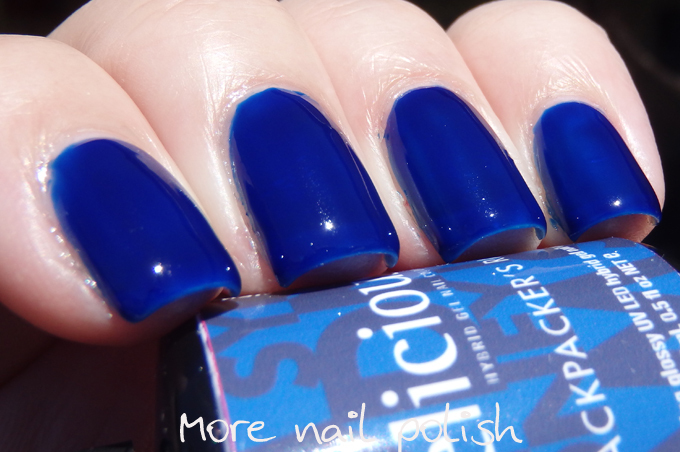 I am Sydney - Backpackers Rip - a stunning inky blue with a jelly finish. 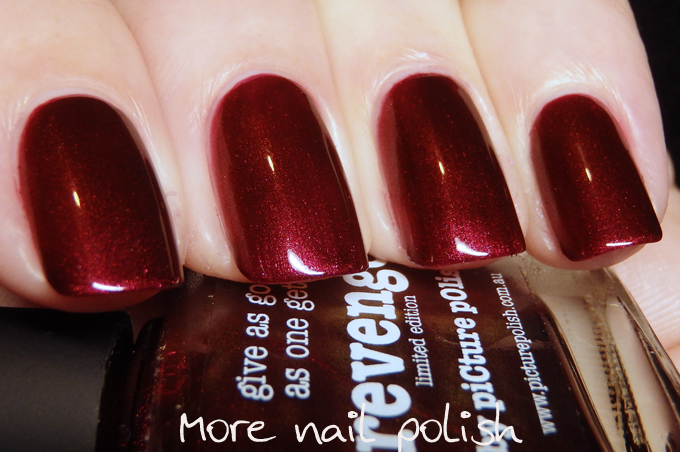 Needs several coats to get it opaque and not streaky. 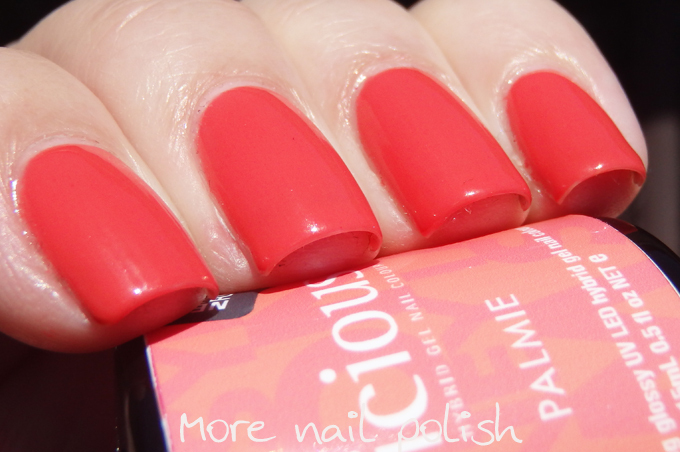 I am Sydney - Palmie - A bright and pigmented coral pink. 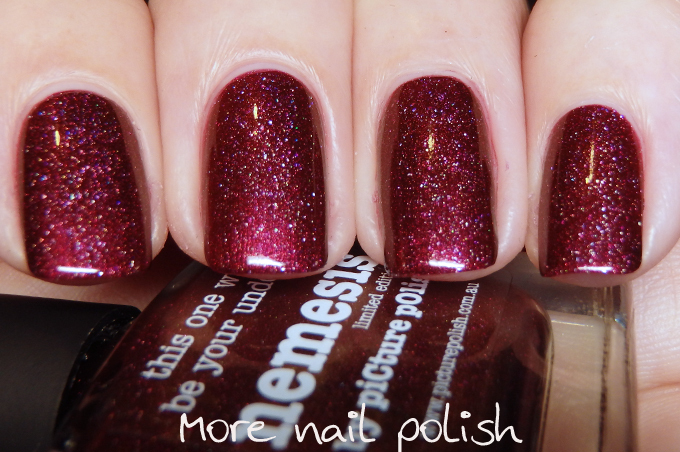 You can purchase the Cities collection polishes via the Gelicious Website.